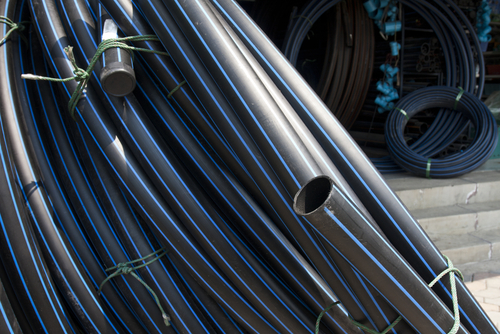 In previous blogs, we’ve discussed some of the benefits of using HDPE pipe such as its strong resistance to corrosion and the fact it has an exceptionally long service life, which allows for long-term savings. Today, we’re taking a look at some additional benefits you may not be aware of. Resistance to fatigue. HDPE pipe is incredibly flexible and ductile compared to other pipes known for their rigidity. Because of this, the pipe is well-equipped to handle fatigue, particularly in applications that may involve water distribution. When the pressure is large, you can rest assured HDPE will deliver. Crack propagation is slow. Also known by its acronym of SCGR, slow crack propagation refers to the strong resistance properties of HDPE. Because the process is slow, using HDPE in extreme environments allows its superior construction to shine while giving you the peace of mind of maximum protection from the elements. Repairing and joining is simple. Polyethylene (PE) has a well-deserved reputation for its durability and toughness. Because of this, joining PE pipe together is a refreshingly simple process. Plus, the pipe generally comes with detachable joints to further ease the joining process.